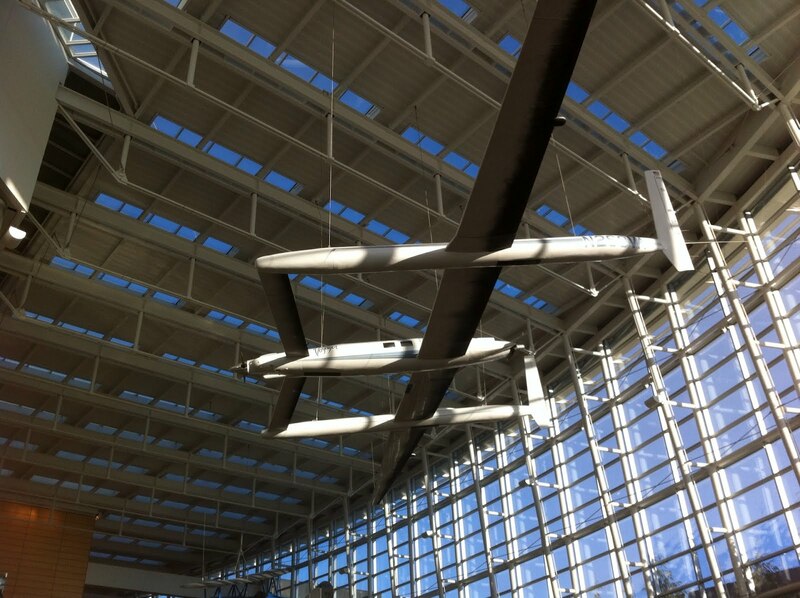 We have a 6 hour layover at the Seattle airport so there was a lot of opportunity to wander around the airport and I noticed that they had the Rutan Voyager on display. This was the first plane to circumnavigate the earth without refueling. The next leg of our flight is ten hours to Amsterdam. Hopefully, the flight will be on time as we only have a 1½ hour layover before our next flight. I'm not at all sure what the Internet availability is but I will try to occasionally post pictures. There is no way I was going to try the 29 picture challenge but am enjoying seeing the new additions. Be safe in your journeys and have a wonderful time. I'm sure it will be memorable, and we look forward to hearing more about your trip when you get back! This is quite a journey. Safe travels. Good timing to fly towards warmer regions. Have a safe rest of your flight Richard! Have fun and enjoy your time away from the arctic chill. You know why the Rutan Voyager is displayed, don't you? When you complain about being cramped during the long flight they ask you how you would have liked to be in that tiny cabin instead!!! Have a great time and remember to order dessert with dinner. I refer to dessert in the Amsterdam as the only acceptable "Dutch Treat." I have been to Amsterdam a number of times, but not in winter. I guess they are skating on the canals, huh? I understand it is a really cold winter in Europe this season.